The Bella Vista Hotel is located on the seafront of St. Paul's Bay and is a 10-minute walk from Qawra. Located in close proximity of the beautiful promenade from Salina Bay to St Paul's Bay, the hotel featuring indoor and outdoor swimming pools, and a rooftop terrace with hot tub, a gym and vintage cars on display in its lobby, the hotel invites guests for a comfortable stay experience amidst warm hospitality, while in St Paul’s Bay. The spacious rooms at the property offer a balcony with amazing views of the countryside or the swimming pool. The guestrooms are equipped with satellite TV, private bathroom, and a cooling fan. The hotel is located on the seafront of St. Paul's Bay with panoramic views of the sea and Wardija Hill. The property is a short walk from both central Qawra, and Bugibba Bus Station. A free shuttle takes guests to Bugibba Square and Qawra town centre. The Malta International Airport is about 20km from the hotel. There are 157 well-furnished guestrooms at the at The Bella Vista Hotel. These come in two types the Standard and Superior offering magnificent views of the bay and surroundings. 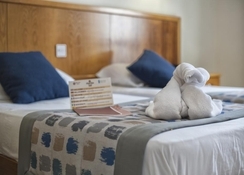 The air conditioned rooms come with facilities like central heating, radio, ceiling fan, direct dialling telephone, safe, satellite TV, hair drier (the following at a charge) Wi-Fi, Frigo Bar as well as tea and coffee making facilities. 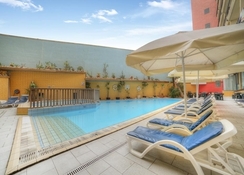 The Bella Vista Hotel offers several board options to its guests. All meals can be had at its buffet Mediterranean restaurant. These are bed & breakfast, half board and all inclusive. The latter includes breakfast, lunch and dinner and snacks (including local, house wine, spirits, beer, soft drinks, juices, tea & Coffee). A kid’s menu is available every day and guests can request for special diets. The hotel also has an exquisite Mediterranean Cuisine Buffet every Saturday and Sunday. Tate Lounge Bar is the place to enjoy a cocktail with live music and film screenings. 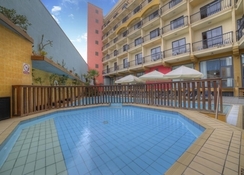 The Bella Vista Hotel has two swimming pool including an indoor and another kids’ pool and terrace where guests can soak up all the sun. There is a fully equipped gym for those who wish to stay active with sauna. Beauty services are available on request. 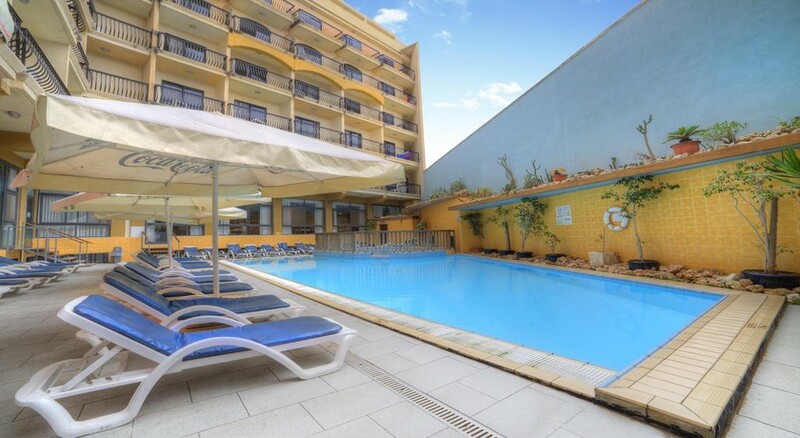 The hotel has facilities for table tennis, games room and billiards. Guests can also shop at the gift shop on-site. There is lively evening entertainment too.